It says something for the genre that love songs have been around since antiquity, can be found across many different cultures, and yet still remain one of the most popular forms of music. Whether we’re singing about first love, last love, broken love or forbidden love, the contenders for an ultimate love songs list are many and varied. What makes an ultimate love song? It’s not so much the style, the lyrics or even the melody; it’s more about the way they make us feel. 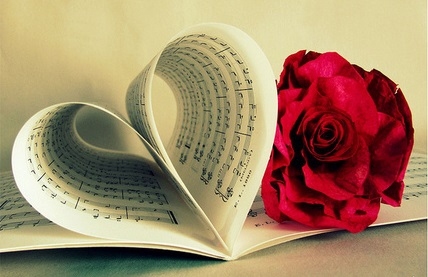 If you hear a song and it evokes images of your one true love, then chances are it is one of the ultimate love songs. Soft piano music, moving lyrics, the awesome power of a duet…"Endless Love" has it all. This soulful masterpiece continues to be an ultimate love song nearly 35 years after its release. The timeless appeal of this song, coupled with its sweet promise of an endless love, makes it ideal for your grandparent’s 50th anniversary party. Reminding couples around the world of the importance of saying “I love you”, Stevie Wonder’s upbeat classic is simple, charming and an enduring favorite. It’s one of those sappy love songs that remind you of that special feeling you get when someone calls you “just because”. This song is another anniversary classic. The deep, melodic tones of Foreigner, coupled with the backing of the New Jersey Mass Choir, evoke heart-rending emotions from a listener. The lyrics reveal a person who has suffered, struggled, but finally found the person who can show him the true beauty of love. This ultimate love song has doubtless been the soundtrack to many proposals. Who can listen to this song without picturing Julia Roberts and Richard Gere in "Pretty Woman"? The laughter in the red dress, the heartbreak of leaving, and finally the triumph as her knight in shining armour climbs to her balcony to declare his love. Post break up or at the beginning of a life together, this song can be ideal for either occasion. The ultimate declaration of eternal love, "I Will Always Love You", from the soundtrack to "The Bodyguard", is the embodiment of the 90’s power ballad. The soaring vocals, haunting music and expressive lyrics can wring an emotional responsive from even the most cynical listeners, making this the ideal song for a newly married couple’s first dance. From the first softly sung words by Celine Dion, the undisputed queen of the love ballad, "The Power of Love" pulls you in. The powerfully sung lyrics remind us that when we face trials, the power of love can be enough to pull us through. One of the classic sappy love songs, "The Power of Love" is perfect for celebrating a marriage or many years’ worth of anniversaries. “For better or worse, ‘til death do us part, I’ll love you with every beat of me heart”. No poet could write more moving wedding vows than the lyrics of "I Swear". Every word is a promise, a vow, to spend a lifetime making another person happy. Whether it be a wedding dance, a wedding night or a proposal, "I Swear" is a guaranteed tear jerker. Anyone who has ever been in love understands what it is like to love someone so much that it hurts. Inspired by the pain of a long distance relationship, "Bleeding Love" has an upbeat pop sound but coupled with the raw power of Leona Lewis’ vocals; it is a thing of true beauty. "Bleeding Love" could be a perfect ultimate love song dedication when you and your partner are separated by distance. This modern day tale of Romeo and Juliet is full of the youthful optimism of first love, coupled with the excitement of being with your partner despite all the odds. With its country twang and romantic, story-telling lyrics, this song has doubtless been the triumphant soundtrack for many a prom night, Valentine’s Day celebration or even a honeymoon. Although the subject matter (a one night stand) is hardly the stuff of romance, the heartfelt plea to “stay with me” is so soul-destroyingly beautiful that it has climbed into the records as one of the ultimate love songs. The simple piano chords and the absolute longing conveyed by Sam Smith is powerful and compelling, making this another perfect love song dedication. One of the most enduring ways to express love is through the medium of music, whether it be for a special Valentine’s Day celebration, a wedding anniversary or a reunion after weeks of being apart. Here are our top recommendations for your romantic playlist to accompany any occasion. Currently fulfilling a life long dream of working as a freelance writer. I love travel, good food, new experiences and learning about different cultures. Server responsed at: 04/23/2019 9:59 p.m.